Our house painters at Red Truck Painting have been enjoying interior projects this winter. Muted greens and blues seem to bee the hot colors this year. We are currently working on a house in Webster, and they have chosen Benjamin Moore's Pleasant Valley for a few rooms. This is a nice blue- green tone that offers a variation on the sage color. 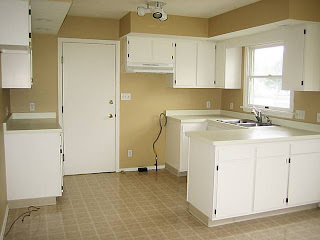 We have also painted several kitchens in recently, with most in yellow tones. I personally enjoy yellows in kitchen spaces, as they offer warm and exciting tones. I painted the kitchen in my home in Benjamin Moore's Hawthorne Yellow, which is also the color of my home's exterior. It is a bold, creamy yellow but not too bright or too yellow-y. A very light, creamy off-white has been one of our favorite "neutral" colors this year. The creamy, slightly yellow variation of off white offers more warmth and character than many lighter colors. We have used colors like Benjamin Moore's Windham Cream in various spaces, from living rooms, to hallways and basements. Red Truck Painting provides full service painting for residential and commercial properties in Rochester, Ny. Our painters specialize in interior and exterior repaints, whole house painting, and homes for sale. Our process starts with proper surface cleaning and preparations including: power washing, wallpaper removal, drywall repair, surface refinishing, paint removal, and proper priming. Their are a variety of different paints and primers. Our years of experience combined with our great local paint stores will ensure that we choose the right product for your specific project. Much of our work is on homes for sale in the Rochester ny area. With your average home, there are a variety projects that can help your home sell quickly and for the right price, and possibly leave you with some profit. Painting is the most cost effective improvement you can make on the average property. Other common repairs include: wallpaper stripping, floor refinishing, window and door replacement, hardware replacement, fixtures and lighting replacement. New switch plates and hinges will add some smaller details. We also remodel kitchens and baths, which are your two huge interior selling points. Exterior projects start with thorough power washing. We use industrial strength, environmentally friendly soaps that will clean the grime and build up off your house without damaging your landscaping. We then scrape and sand any loose paint, prime, caulk, and patch as needed. We are experienced with deck cleaning and staining, and use a variety of deck and siding stains. Red Truck Painting is now offering a new year's special. Mention this ad, and save 10% on interior work through the month of January. 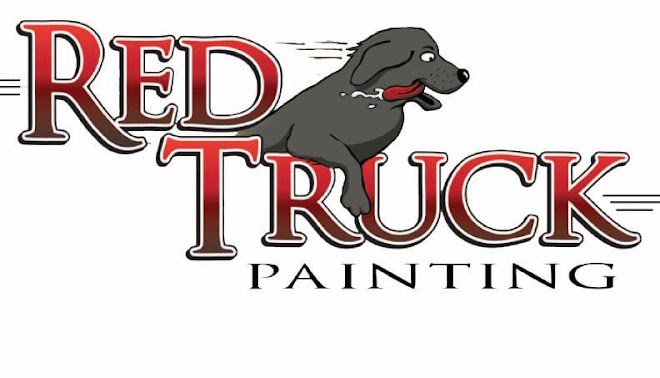 Visit www.redtruckpainting.com for more info! It's easy to see why we get tired of those old cabinets. Not only do they get dinged and scratched, but they are exposed to a lot of grease and dirt. Our cabinet painting process starts with careful protection of your walls, counters, and floors in your kitchen. The prep work ranges from simple cleaning to full stripping, sanding, and refinishing with paint or stain.